Browse packaging-bags suppliers by country and region. 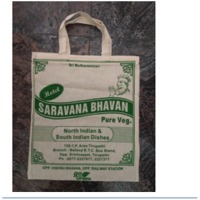 These bags are made of Kraft Paper Laminated with PP / HDPE fabric and are, Centre Sealed Bags with 3-4 colors printing as per customer requirement. Kraft, Liner bags can be made from 15" to 23.5" in width & 25" to 43" in length. KLB are, Gusseted / Non-Gusseted, Open Mouth, Top & Bottom Pasted with / without, Liner, with outside White / Brown Paper. These bags are strong and moisture, proof and on customer requirement can also be made with HMHDPE / LDPE, liners to give extra protection for products packed in it. 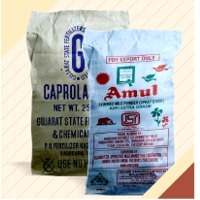 They are widely used by, Dairies, Chemical, Fertilizers, Feeds, Gaur Gum, Food Industries & Resins, Manufacturers etc. Short on time? Let packaging-bags sellers contact you. PP/HDPE woven sacks or bags, PP/HDPE woven sacks with liner, PP/HDPE woven laminated sack, PP woven fabric, HDPE woven fabric, PP woven fabric roll, bopp laminated bags/sacks, potato bags/sacks, PP woven sack, leno bags, block bottom valve bags, tarpaulin, sand bags, cement bag, agro product packaging bag, woven sheets, rice bag, cattle feed bags, vegetable bag, valve type bags. Plastic packaging and products, plastic bottles, caps, films, environment - friendly timber (benches, road humps, parking stop made out of 100% recycled plastic with wood-like appearance), corner posts used for transport and stacking, and other injection molded and blow molded products..
PP woven sack fabric, PP woven sack bags, FIBC bags, Big Bags, BOPP laminated bags, HDPE tarpaulins. Stretch film, pre stretch film, adhesive tape, plastic bags. Bayramoglu Ambalaj Plastik San. Ve Tic. Ltd. Sti. 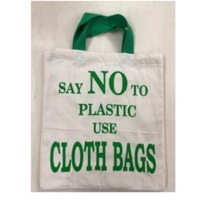 PP (polypropylene) and PE (polyethylene) bags such as transparent PE shopping bags, t-shirt bags, garbage bags, refrigerator bags, plastic cutleries like spoon, fork, and knives), plastics cups, paper cups, soap cases, hinged lid containers etc. 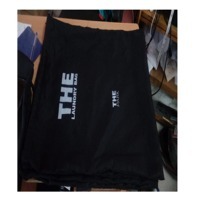 Pp non woven bag, cotton bag, canvas bag, polyester bag, cooler bag, garment bag, pvc bag, non woven laminated bag, drawstring bag, backpack bag, suit cover, cosmetic bag, jute bag, paper bag, shopping bag, tote bag. Knitted & woven fabrics, polyester ring spun yarn, poly , cotton yarn blended yarn, 100 pct cotton yarn, 100 pct cotton oe yarn, ginseng wine, garment, cashew w320, HDPE, LDPE plastic bags, broken rice 5%, 10%, chia seed juice 250 ml, 290 ml, basil seed juice 250 ml, 290 ml, cotton tow.